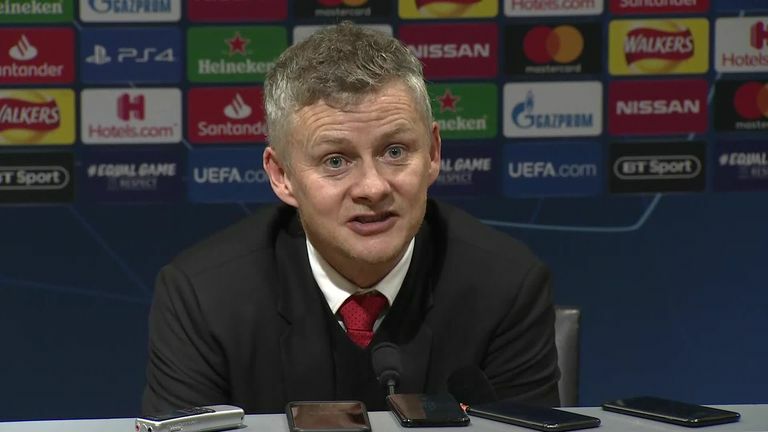 Ole Gunnar Solskjaer conceded PSG are on a different level to Manchester United after the French side ran out comfortable winners at Old Trafford. He said: "Today we weren't at the level. This was a level up from what we've played against. We've had a great run, we came into this game in a great frame, on great form, but of course this was a big step up. "There is a reason behind them being one of the favourites for the Champions League. That's the level we need to aim for at this club." Despite the huge task facing his side in Paris, Solskjaer feels the chance of qualification is still alive. "At this club you bounce back, you have to bounce back," he said. "We are in a difficult tournament, whoever you play against, but our bread and butter is the league and then the FA Cup against Chelsea, there's so many games to play for. "When we go down there to Paris, we'll give it a go. Of course it's a difficult, difficult mountain to climb but it's not impossible, if we get to half-time with a 1-0 lead that's what we've got to look for."